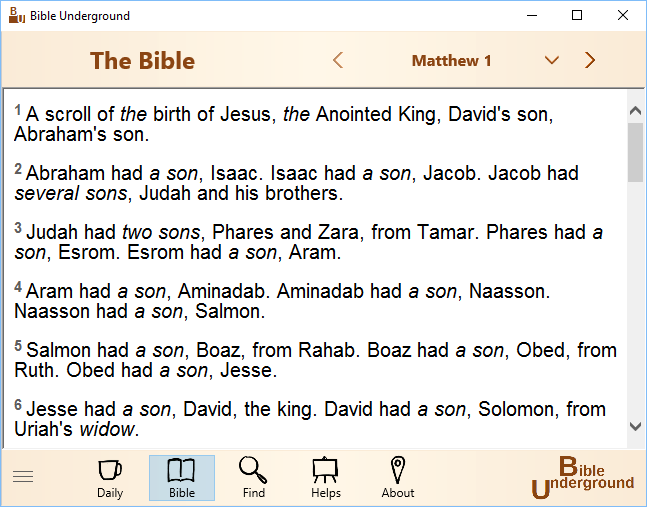 Go to Windows Store and search for "Bible Underground." Go to Google Play and search for "Bible Underground." Look up a passage and read how it would sound if it were translated directly from the original Greek text in today's words. Gain a new understanding of the Bible. When Bible Underground starts, it shows the current day's chapter reading. Start here and read your way through the New Testament one chapter a day. It is important that you read and meditate on the Bible every day. 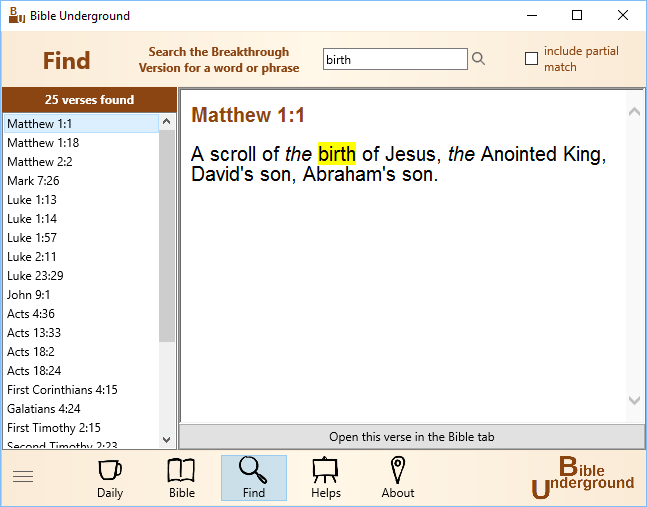 Bible Underground has videos about the Bible's words and articles that explain different topics in the Bible.